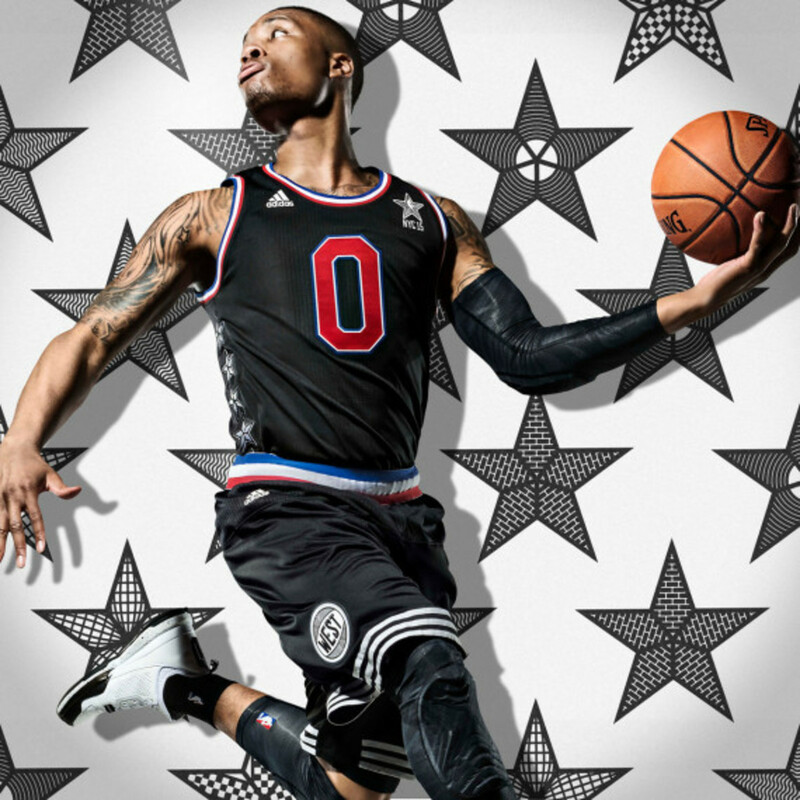 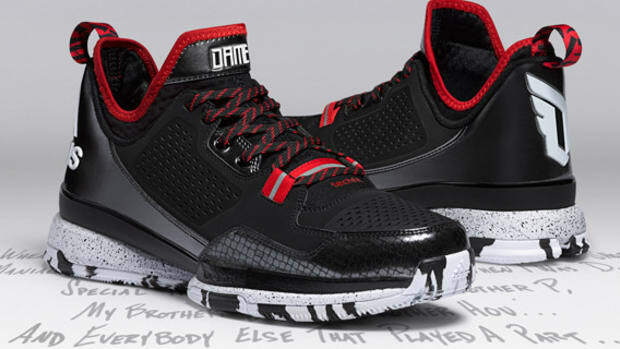 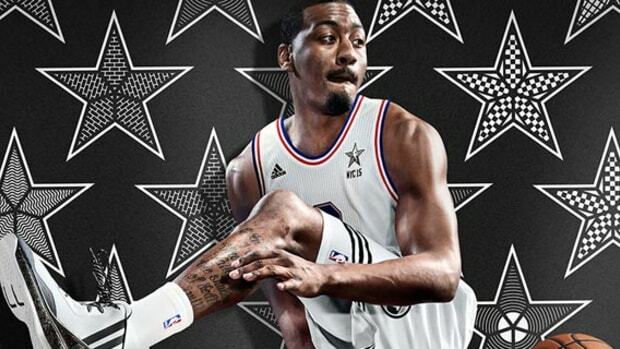 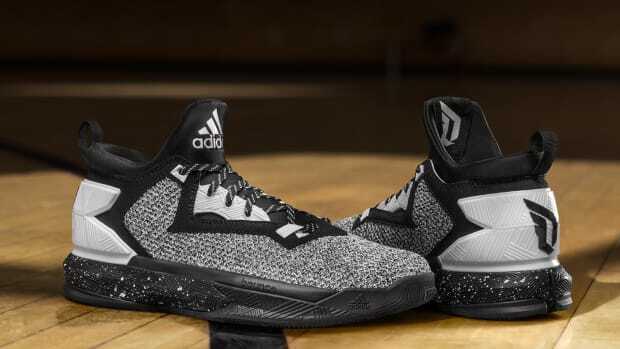 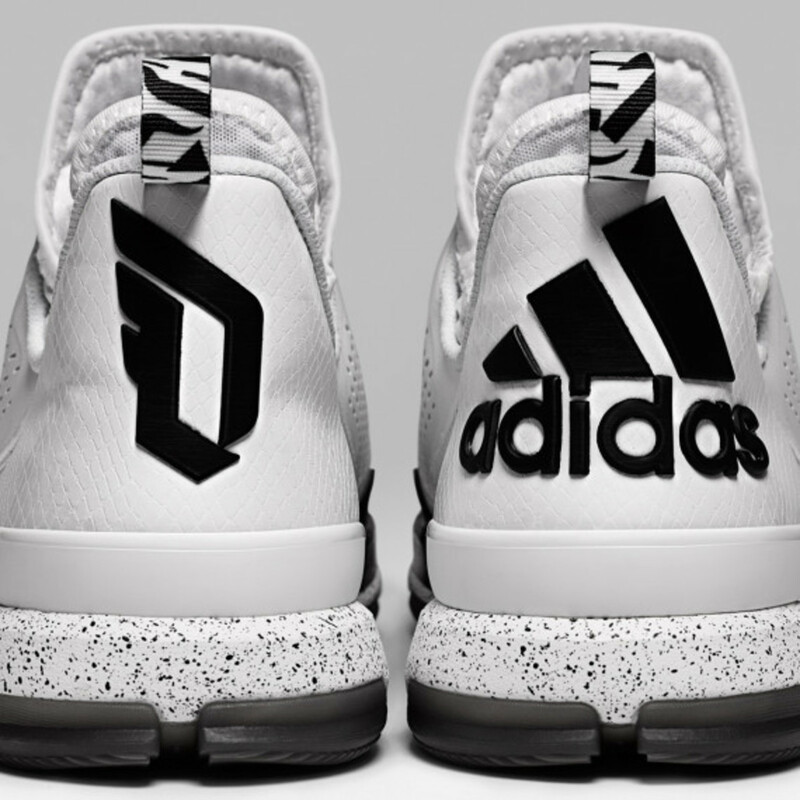 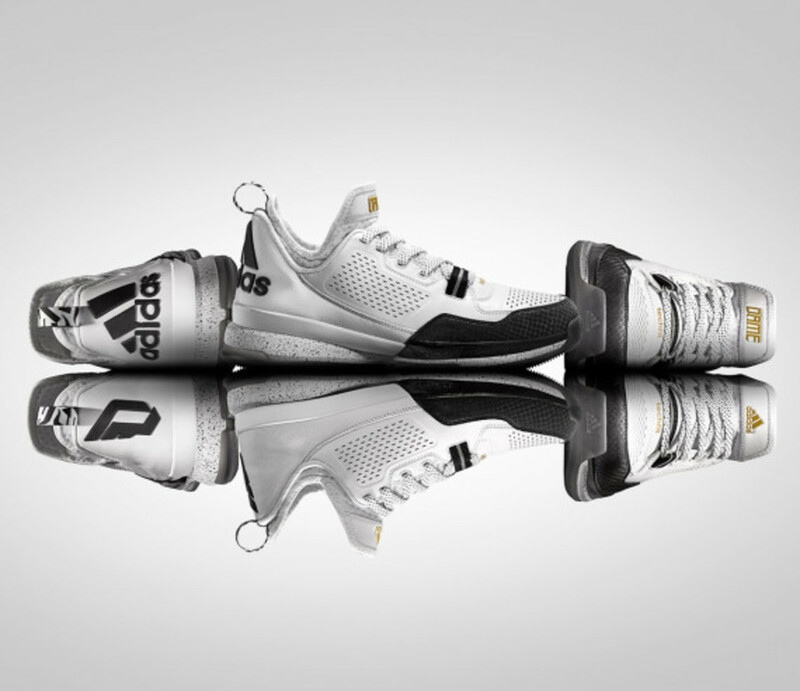 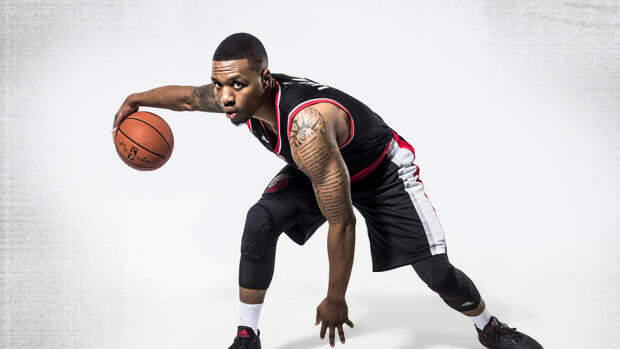 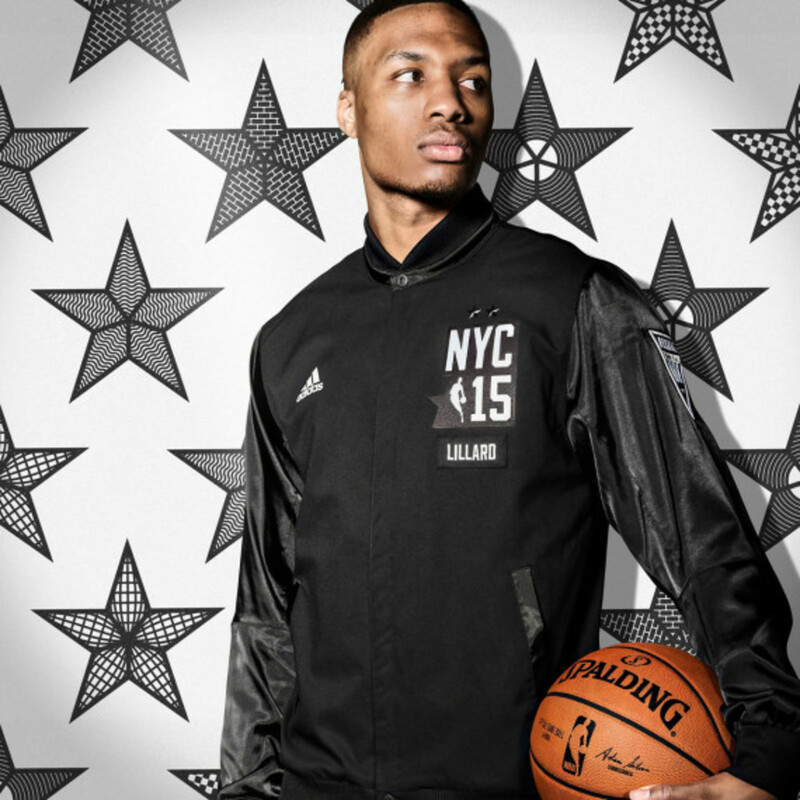 adidas has unveiled the "NYC All-Star" edition of the D Lillard 1, the signature shoe of Portland Trailblazers guard Damian Lillard, who&apos;s replaced Blake Griffin on the Western Conference All-Star team. 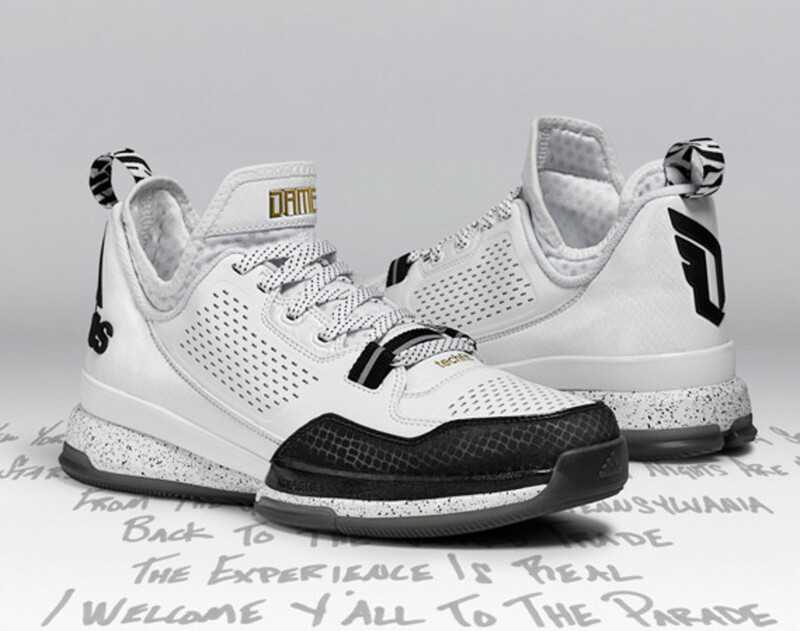 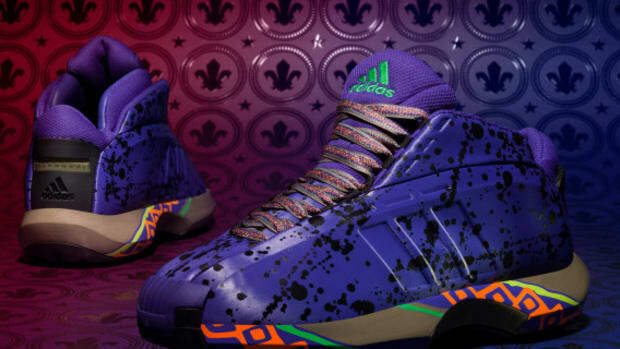 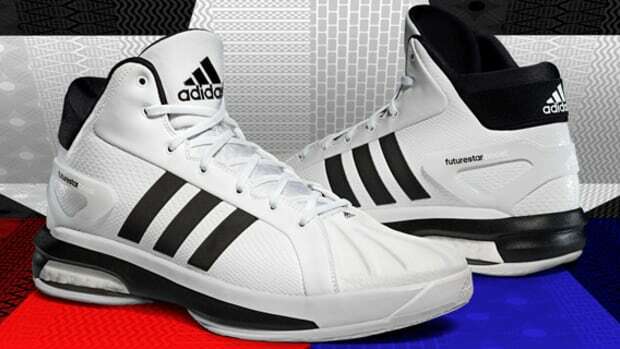 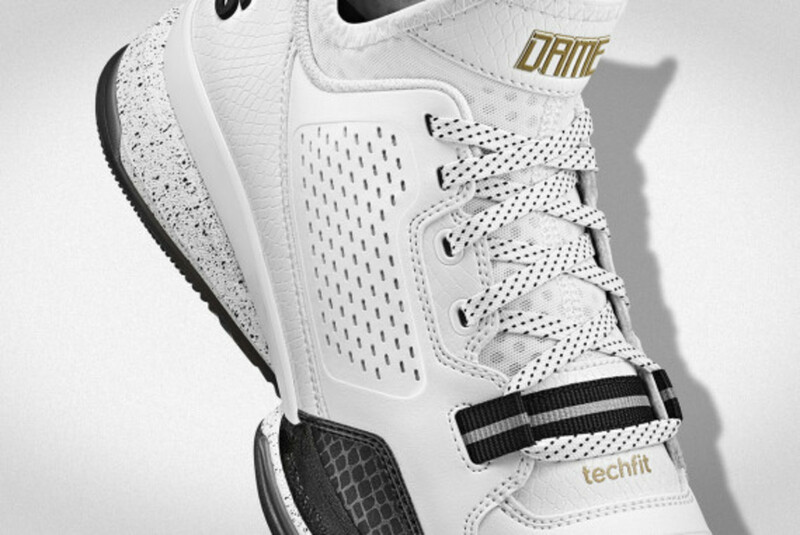 The shoe, designed in tandem with the 2015 NBA All-Star uniforms, features a clean white leather upper with a unique snakeskin texture across the back panel, and around the midfoot laces and atop the TECHFIT booty. 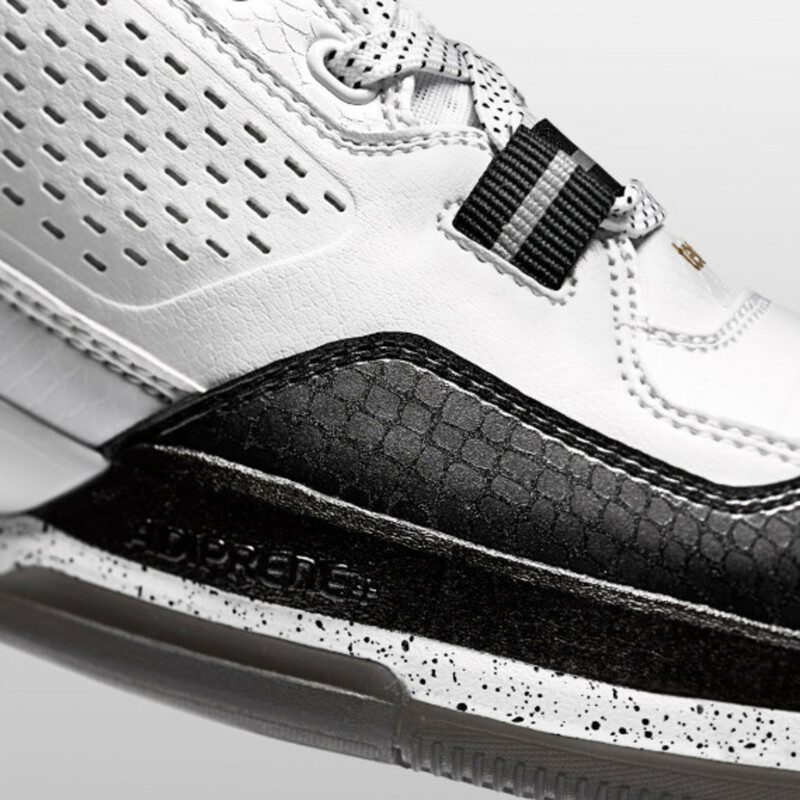 Contrasting hits of black cover the heel logo and toe cap, which is adorned with more tonal snakeskin. 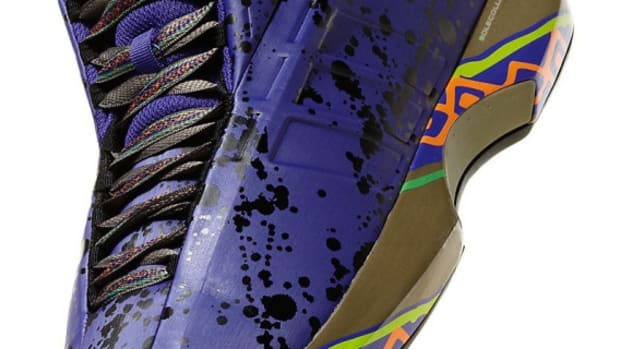 The mid-top is mounted on a full-length adiprene+ midsole featuring black splatter print, along with an outsole in translucent black. 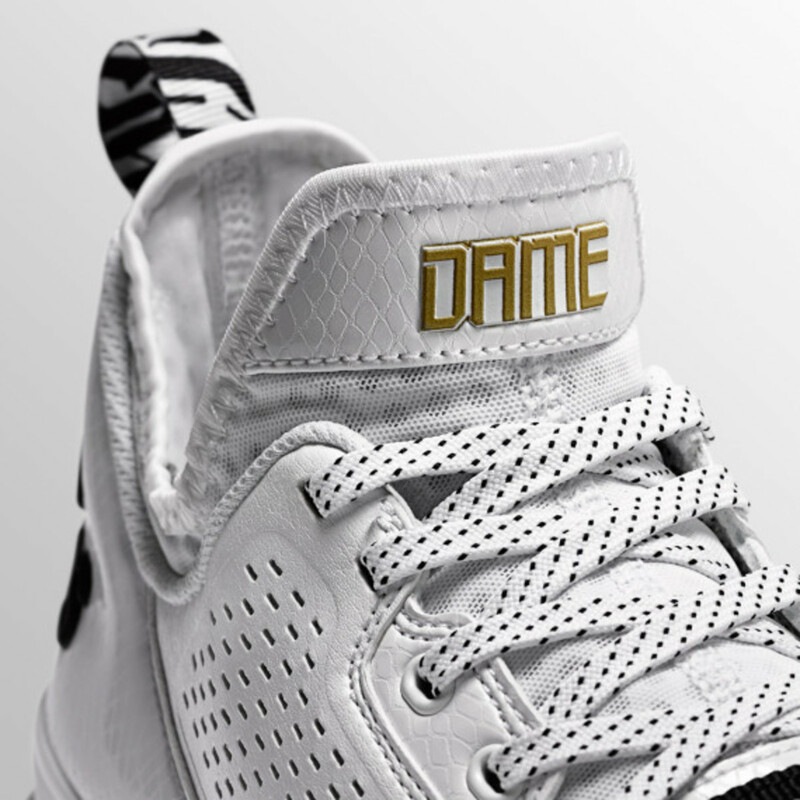 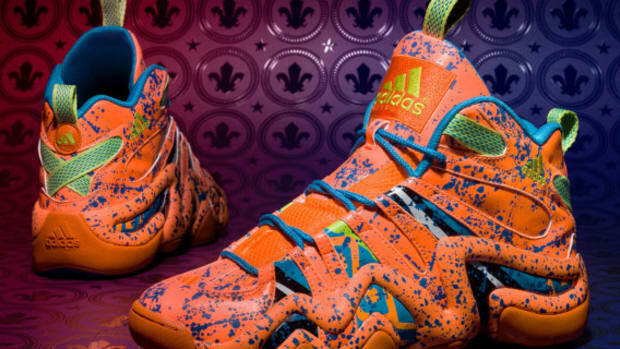 Metallic gold "Dame" and adidas branding on the tongues of each shoe complete the look. 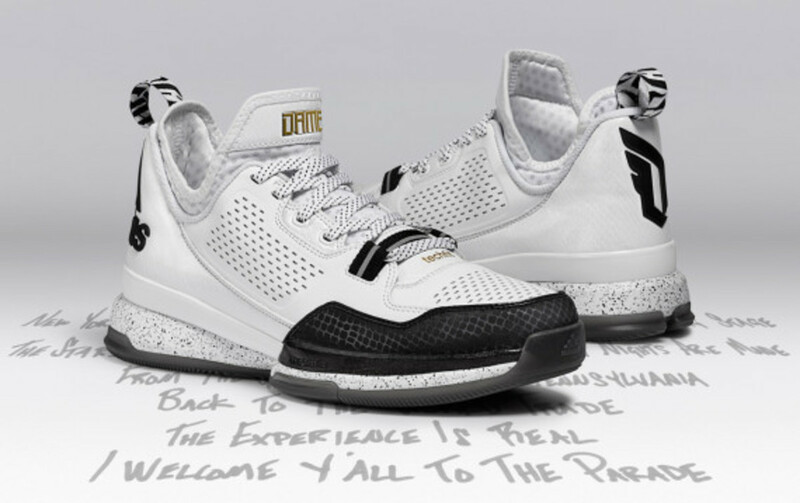 Expect the the D Lillard 1 "NYC All-Star" edition, priced at $105, to hit stores February 13.